Lake Union is populated with sea planes, sail boats, speed boats, stand up paddle boards, and all sorts of interesting sights. This mixture makes for a fun day of paddling. 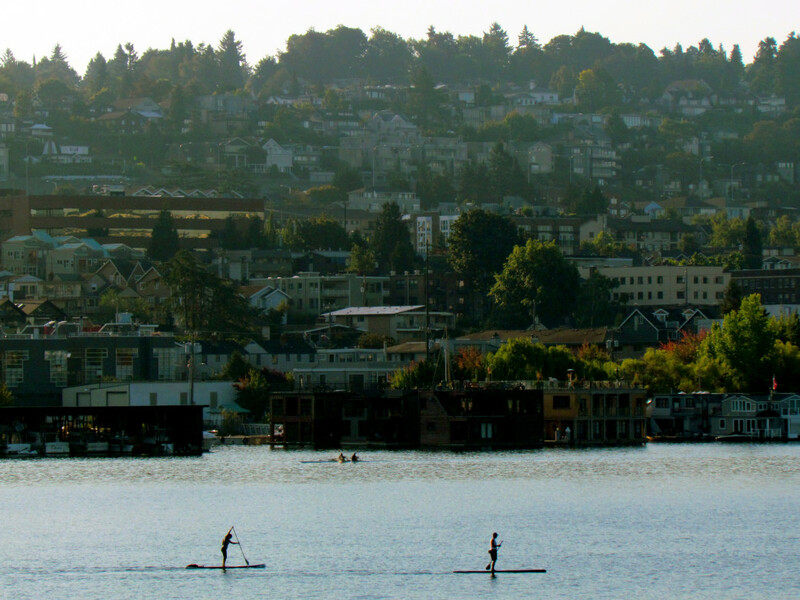 Lake Union’s paddling possibilities show that, sometimes, you can have an excellent outdoor adventure right in the heart of the city. Grab a kayak, standup paddleboard, or canoe and explore the water among the giant yachts and sailboats, and watch the takeoffs and landings of Kenmore Air’s floatplanes. 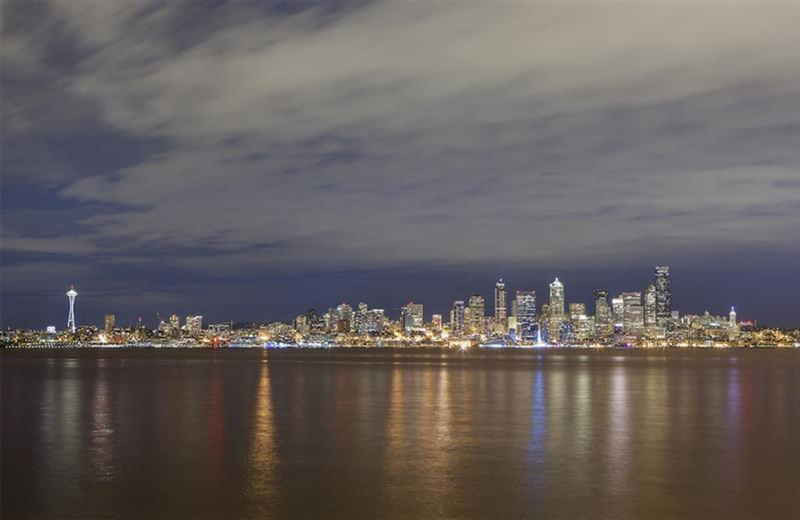 The views are amazing, too: the downtown skyline to the south, Capitol Hill to the east, Queen Anne and the iconic Space Needle to the west, and Wallingford and Gas Works Parks – the site of the former Seattle Gas Light Company gasification plant, now a popular quirky park – to the north. With all the aforementioned boating activity, however, in order to avoid traffic we recommend staying near to the shore. For an extended excursion, exit Lake Union at the northeast corner to tour past the Montlake cut and into Lake Washingon. 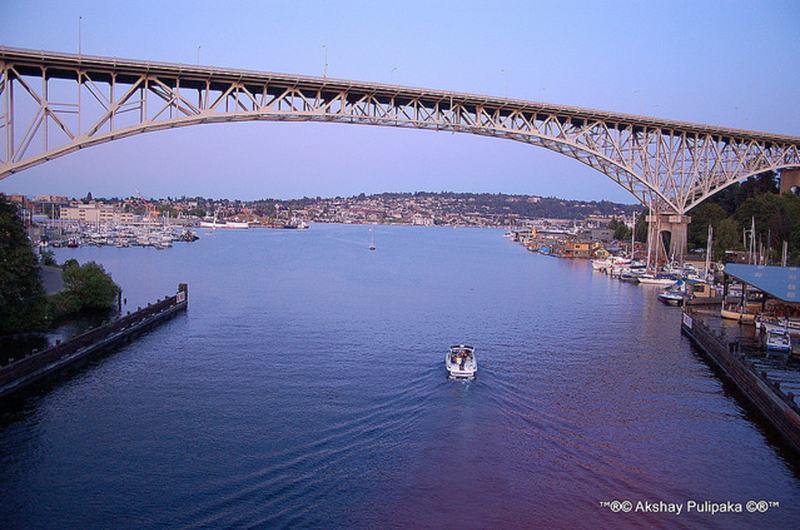 Or leave Lake Union from its northwest corner for the Lake Washington Ship Canal, and travel through the Ballard Locks out to Puget Sound. Note, however, that not all rental companies will allow you to take their vessels through the locks (primarily because the salt water on the other side can be rough on them). This is the perfect thing to do if you are new to Seattle, or if you have friends visiting from out of town. 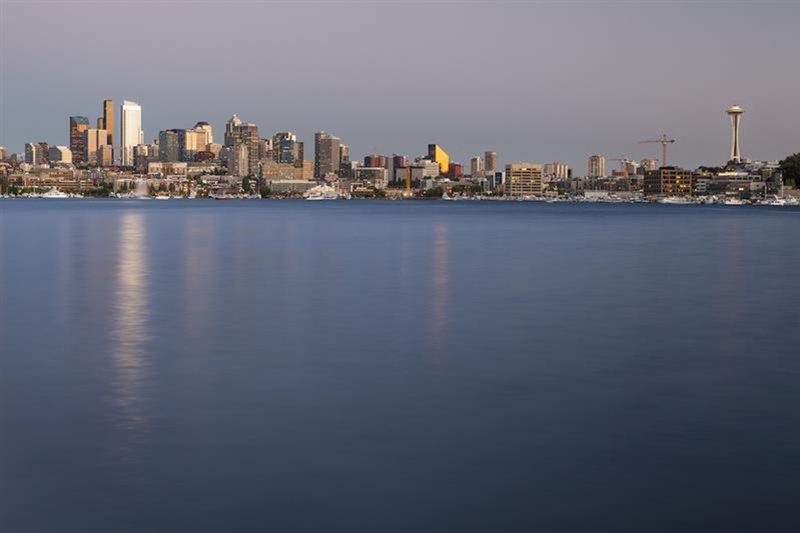 Located smack in the middle of the city, there is no better way to orient yourself to Seattle than by taking in the surrounding neighborhood views from a boat on Lake Union. Cinephiles. If you’re a sucker for Sleepless in Seattle, you might get a kick out of casually passing by Sam’s famous houseboat, located in a cluster on the lake’s northwest edge (just recognize that people do actually live in these boats, so use common sense). If you have always wanted to recreate Kat and Patrick’s legendary date from 10 Things I Hate About You – well, sorry. You can do the Lake Union paddling bit, but fun though it looks, they probably won’t actually let you throw balls of paint at each other at Gas Works Park. The park is located at 860 Terry Ave N. You may need to do some circling or pull out your parallel parking skills, but there are places to leave your car around the entirety of Lake Union. 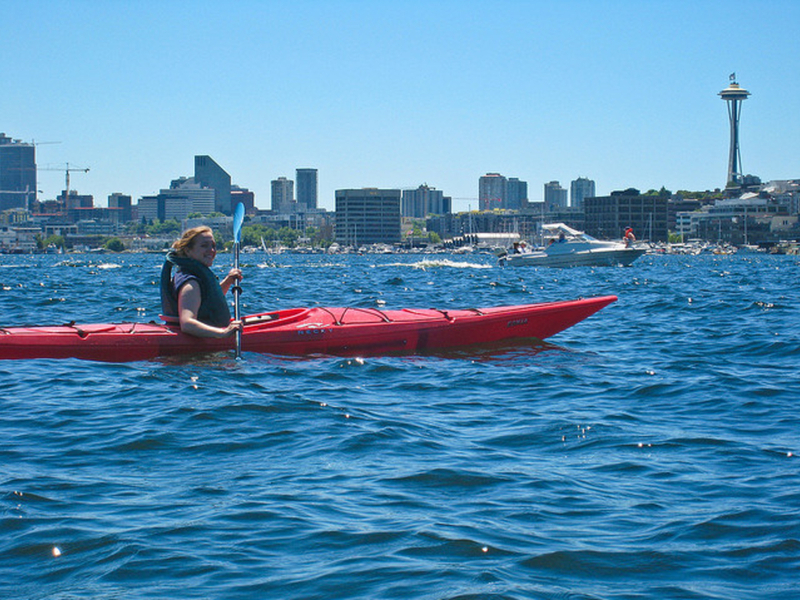 There are plenty of places around Lake Union’s perimeter to rent vessels to paddle, giving you options as to which part of the lake to explore. 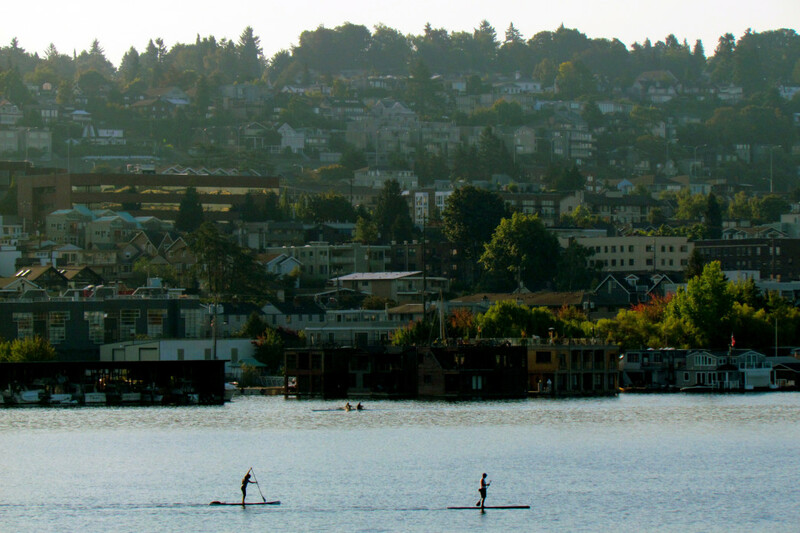 On the north side of the lake near Gas Works Park, Urban Surf has standup paddleboards for $25/two hours or $50/day. The Northwest Outdoor Center, right on the lake’s west side, rents single kayaks for $15/hour, standup paddleboards for $17/hour and, if you want to make a habit out of it, offers deal for a yearly rental pass. On the south side, Moss Bay rents kayaks for $14/hour and standup paddleboards for $15/hour. Or, if you’re more interested in a canoe, sailboat, or rowboat, check out the Center for Wooden Boats, right in Lake Union Park.